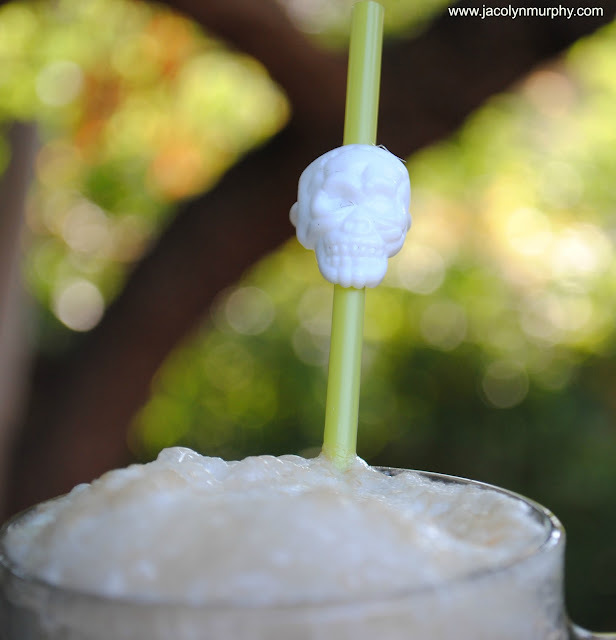 A Frighteningly Frosty, Bone-Chillin' Beverage! Ice Cube Molds she sent us. 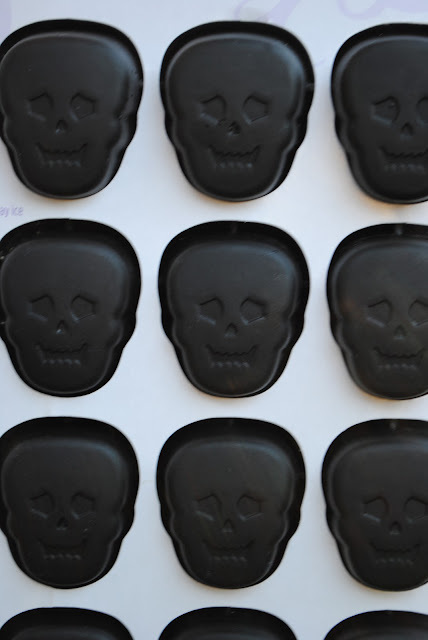 I sprayed the molds with a little Pam, and filled each mold with ice cream. Then I refroze for a few hours. 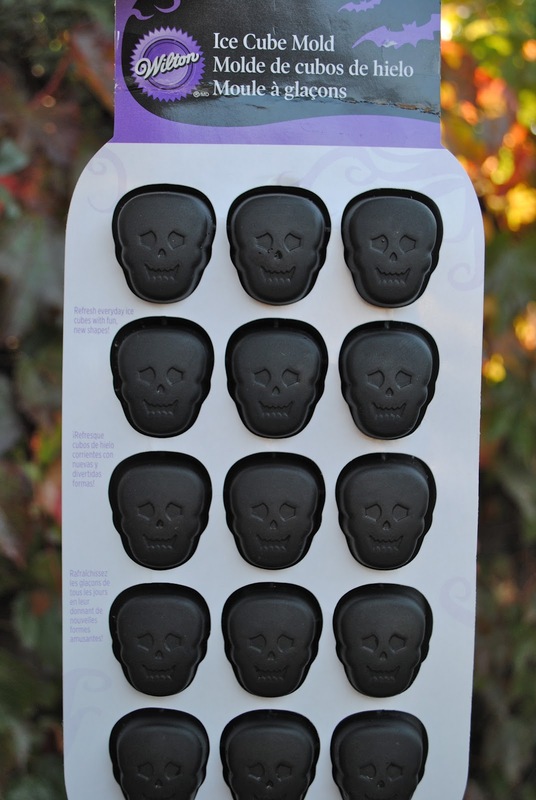 They popped right out by gently pushing up on the black skull face. Put on a foil or plastic wrapped lined plate and keep in the freezer until needed. No bones about it... Spooktacular!! 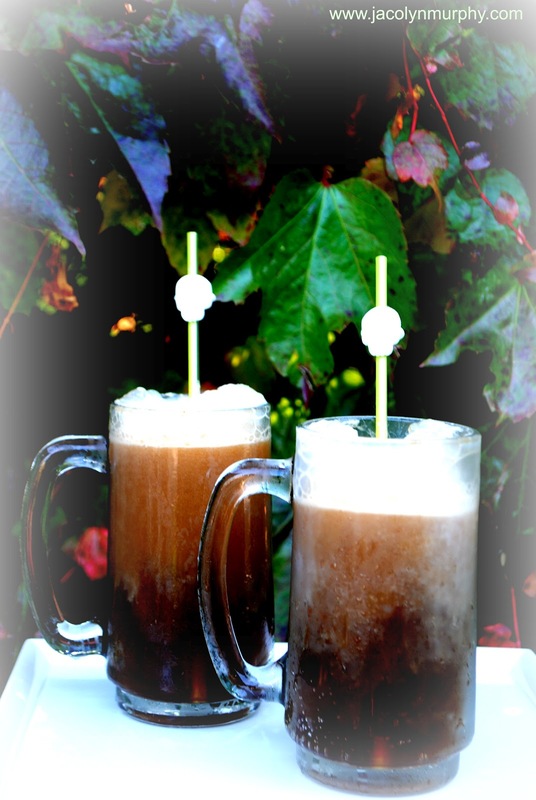 Cheers to you & Peggy! Okay, I love that! I have pumpkin molds and I would never have thought to freeze ice cream for floats ... totally adding that to the list! Ha!! Now that's using your head! Cute! 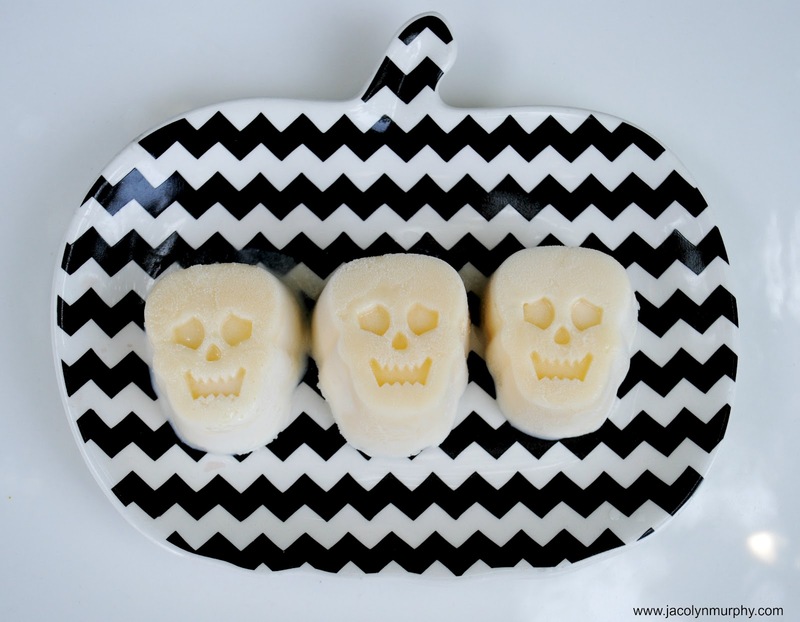 Love those molds and using them for other things besides ice! I can't tell you how freakishly awesome this is! My kids would love it! LOVE this idea! I'm totally going to make these for my kids! Love the chevron pumpkin plate too! Such a cute idea, thanks for sharing! And thank you for linking up to our Pretty Things Party! Hope you'll be back next week! Very cool...kids would love this! Too cool! 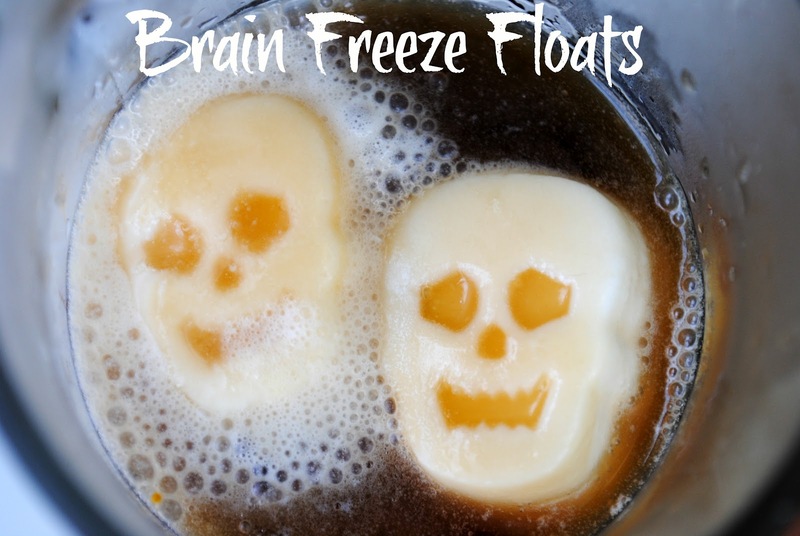 What a great idea, and one of my favorite drinks! Cheers. Awesome! I've got to try this. You are brilliant! 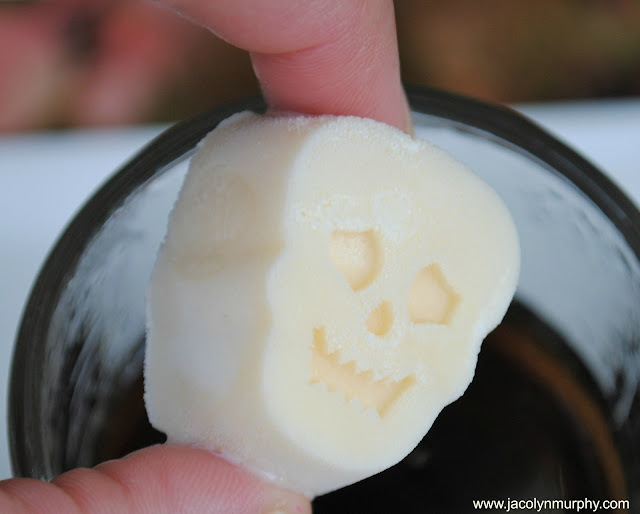 My weekly linky party--One Creative Weekend--has gone spooky this week in honor of my thirteenth party. If you haven’t already, I hope you’ll visit "One Creative Weekend" on OneCreativeMommy.com (open every Fri-Wed) and link up this idea and anything else you’d like to share. (You can include non-Halloween posts as well, but feel free to link up as many Halloween-themed posts as you like.) There are two categories—one for Halloween and one for everything else. Nice. I like it! Thanks for sharing. They have skull ice cube trays at the dollar tree store! I LOVE the Dollar Tree!